A Look Back. And A Leap Forward. To date, the panel has evaluated and rated five varietal/style categories: Syrah, White Blends, Red Blends, Merlot and Dry Rose. Next week, the panel will meet to taste through Blanc du Bois and Sangiovese with Cabernet Sauvignon, Tempranillo, Fortified and Dessert categories to follow. The panel is the key. Being able to analyze the ratings from a group of professional judges versus the palate of a single judge gives us an objective framework to track varietals, wine styles, producers, vintages and even typicity. And as the number of submissions increase, the more layers we can peel away to better understand what it is to be a great Texas wine. Typicity Across Category: A measure of typicity. We also had an opportunity to re-evaluate our best practices and rating methodology to insure that we are producing the most accurate, fair and objective results as possible. As more results came in, we gained more insight. When combining this with greater consumer interest and national trade exposure via the partnership with the SOMM Journal, an interesting observation became apparent, which is that the Journal process of rating wines is a grueling one. It produces comprehensive and objective insights, but if it didn’t crossover from the producer world to the trade and consumer worlds in a fair and consistent way, it would hinder the core functions of the Journal, which are to provide producers with objective evaluations and ratings and to provide a platform to publish those ratings to drive trade and consumer awareness and, ultimately, sales. 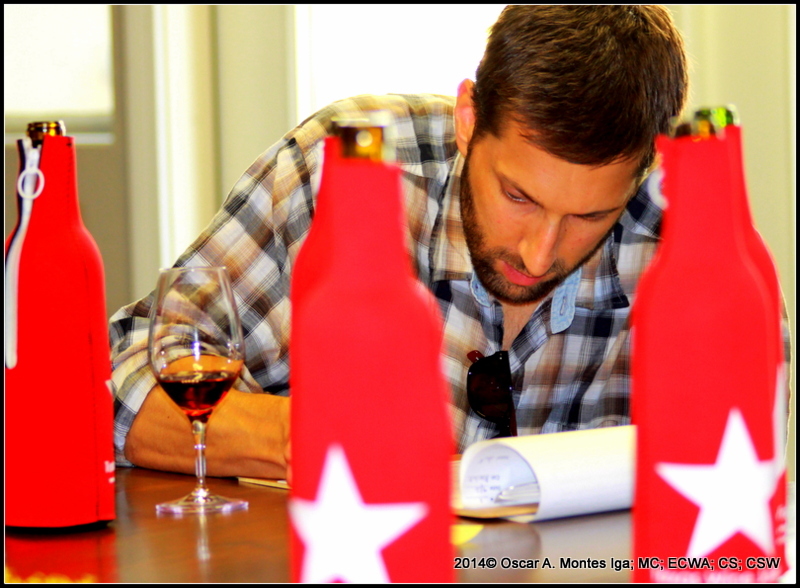 Brian Phillips, Advanced Sommelier, tasting through the Red Blends category. The 20-point score allows us to capture more exact information and in a quicker way. We have developed our own form designed to capture information such as typicity, balance, complexity, concentration and intensity, while at the same time allowing for more subjective input that is not weighted in the final score, such as ageability, quality and structure. The form is broken down into four categories – Appearance, Smell/Aroma, Taste and Overall, worth 3, 6, 7 and 4 maximum points respectively. This approach to evaluation allows us the ability to publish both a 20 point score in the format as “20(3,6,7,4)” and as “100”. Viewing the entire breakdown of the 20 point score allows for a more exact analysis as well as allow the viewer of that expanded 20-point score to place more emphasis on one area more than the other if both wines score the same 20 points – i.e 15(2,6,5,2) and 15(1,5,7,2). See the TWJ 20-Point Evaluation Form to better understand how it works. 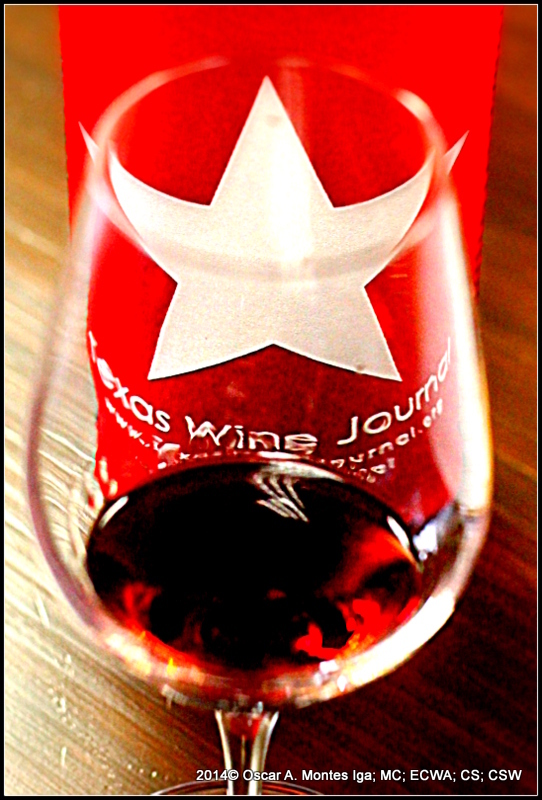 The 100-point commercial score allows for a Texas wine judged under the Journal’s rating methodology fair judgement in the commercial marketplace. The 100 point score is a quick way to understand a wines overall quality or characteristic – it does not provide nearly the level of insight the 20 point score does. In order for the Journal to operate on the same level as Decanter Magazine (the only other publication that establishes it’s ratings based on averaged scores from a panel), we will be using their 20 point to 100 point conversion chart to determine the 100 point equivalent of the Journal’s 20 point scale. See 20 to 100 point conversion here. A consumer recommendation will be broken down into “Recommended” and “Highly Recommended” wines. This approach has the benefit of being expanded overtime (if warranted) into a star system without affecting the 20 point and 100 point scores. The primary purpose of this level of rating is to insure that even wines that don’t score high enough to be considered “excellent” wines (90+ by Journal definitions) don’t get overlooked in the consumer marketplace, when they are, in fact, perfectly good wines. 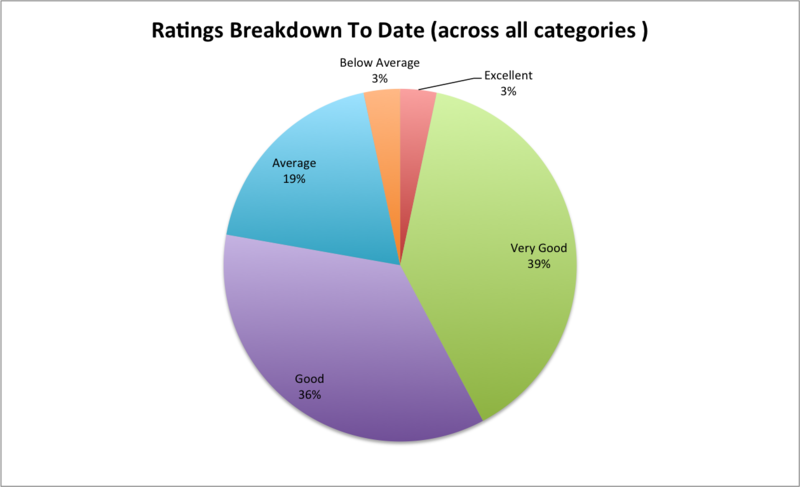 This type of rating places emphasis on the fact that a wine is recommended by a juried panel of professionals, with the goal being to increase consumer confidence when buying a Texas wine. All categories going forward will be evaluated according to this new methodology and the finalized 20-point evaluation form, which has gone through three iterations (performance tests) over the course of the Red Blends, Merlot and Dry Rose categories. Results for all three of the categories will be released this month and later this fall. https://txwine2018.wpengine.com/wp-content/uploads/2017/07/Artboard-3.png 0 0 newadmin https://txwine2018.wpengine.com/wp-content/uploads/2017/07/Artboard-3.png newadmin2014-10-03 11:24:422014-10-03 11:24:42A Look Back. And A Leap Forward.